Jeffrey, Nancy Jr, Brian, Maripat (Bruce's wife), Bruce Connor, Nancy Sr.
Coach Nancy Sr. is the Mr. Miyagi of speedskating. 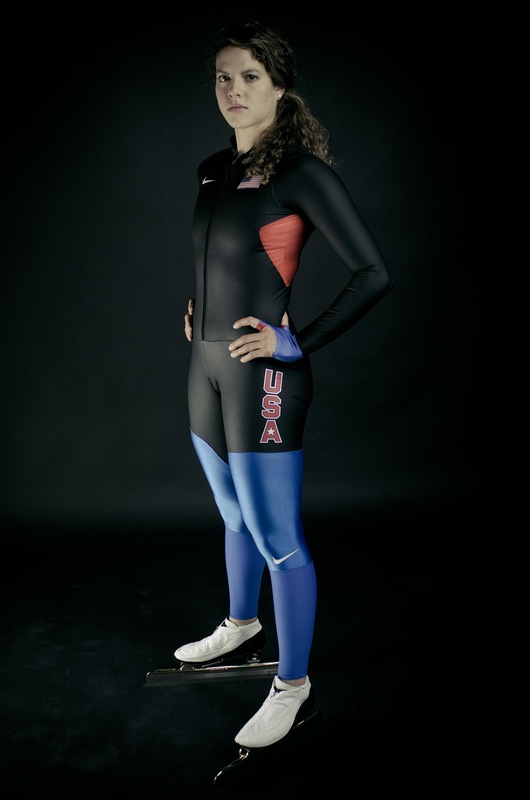 Her understanding of the training and technical philosophy of the sport goes way beyond the ordinary and reflects her unique involvement with speedskating over such a long period of time. She began speedskating in 1968 and succeeded in making 4 Olympic teams from 1976-1988 while setting 2 world records during those years. 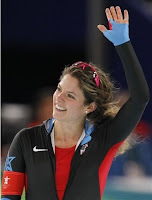 In the 80’s, while still competing and continuing to coach herself, she began coaching other speedskaters such as Dave Cruikshank and Mark Greenwald who would eventually make future Olympic Team’s. 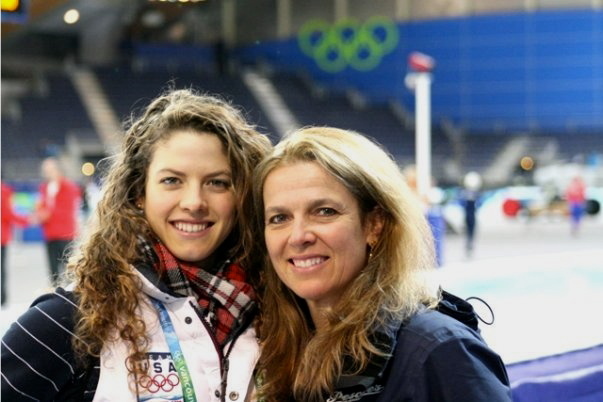 Nancy Sr. continued to compete in US Olympic Trials through 2002 and since then has continued to coach other speedskaters to make the 2006 and 2010 Olympics. During her involvement in speedskating which has spanned over 4 decades, Nancy Sr. has learned the sport through both personal successes and failures, changing scientific understandings of training, and corroboration with countless skaters and coaches from all over the world. Her level of understanding and expertise in this sport verges on genius. Aside from experience, she does have a secret, something inherently absent from our human nature and personal interest. Like Mr. Miyagi, whats sets apart Nancy Sr. from other coaches is that she truly cares for each of her skaters, and she’ll sacrifice anything for their personal and athletic success. It is often quoted that an athletes performance is 90% mental and 10% physical. In that case, a coach’s job must be 90% heart and 10% knowledge, and Nancy Sr. is every bit of that. Same name, same sport, same faith...some may say that I am identical to my mother and coach, Nancy Sr., and I have no problem with that. What has set our careers apart, though, is the ever increasing amount of time now needed to devote to the specifics of sport and the way an athlete interacts now with their fans and supporters through media. Knowing that with great rewards comes great responsibility, I've tried to make sure that through success, all glory is brought to God and the platform I have have from it is used to be a positive role model to those around me. In the 2002 Olympic Trials, the "Nancy's" made history by being the youngest (I was 14) and the oldest (mom was 45) competitors and competed against each other in the first race of the Trials. Guess who won? :) From there, I made the Junior World team 5 years in a row (only competing in 2) and have been on the National team for 7 years including the US Allround Champion Title in 2009. In what came down to a dramatic race, I qualified for the Vancouver 2010 Olympics in the 3K and Team Pursuit events, taking 9th and 4th places at the 2010 Olympics, respectively. After overcoming 2 major injuries in the last year and a half, I've been on the road back to reaching my next goal, the 2014 Olympic Team with my coach, brother-Jeffrey Jr-and Brian Hansen. I'm Jeffrey. I've got two great American speedskaters for a mom and sister, a football coach as a dad, and a stud football/baseball player brother. Along with Nancy, I was on skates before I can remember but I guess it took me a little bit to figure out that this sport was something that I really wanted to go for. I played baseball, football, tennis and competed in speedskating throughout many of my high school years. When I was 17, I competed in the 2006 Olympic trials. But after high school, I left speedskating and attended Wheaton College in my hometown near Chicago, Illinois. There, I played football for a year and then started to have a crazy feeling that I wasn't finished speedskating yet and after my second year in college, decided to speedskate full-time and think big. Between training and traveling, I'm continuing to study and create art as well as teach myself graphic design. And for me, skating is awesome because I think it's as much of an art as anything else. The movements, technique and flow of the sport goes far beyond the quantifiable idea of "the strongest wins" that is often associated with it. I hope I will have a few things hanging up in here one day. I'm also continuing to learn french and beginning to learn German. Skating is great but it's not everything and it can't be where I find value within myself. It's hard to spend so much time focusing on becoming the best skater you can possibly be and keeping a proper perspective on life-it's such an obsessive culture. I only know that I must seek approval solely from God and not rely on being justified by any personal achievements or the opinions of others. Brian Hansen is as consistent as it gets. 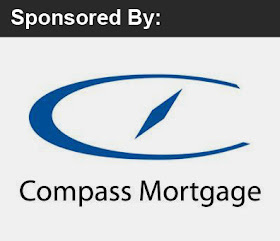 For the last 4 years he has been a member of the US National team and competed in the 2010 Vancouver Winter Olympics where he won a silver medal in the Team Pursuit race. In 2008 and 2009 Brian competed in the Junior World Championships, finishing 3rd overall and winning the 5,000 meters in 2009. He currently still holds the Junior world record in the 1500 meters. Brian has attended Marquette University in Wisconsin since 2010. During the last 2012-13 season he continued to improve, capturing his first gold and three bronze World Cup medals. Go Bri! 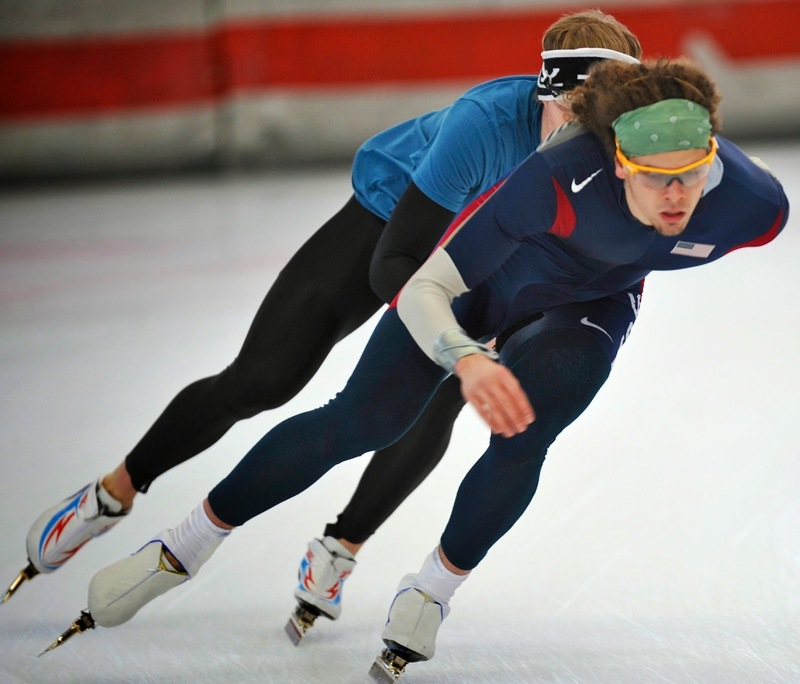 Darren is trying to become the first Taiwanese athlete to compete in the Winter Olympics. 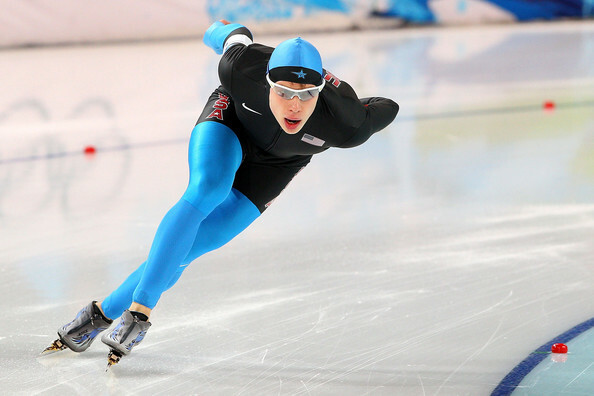 From 2001-2011 he competed around the World in inline speedskating (rollerblading) and then made the switch to ice in 2011 to give his Olympic dreams a shot. 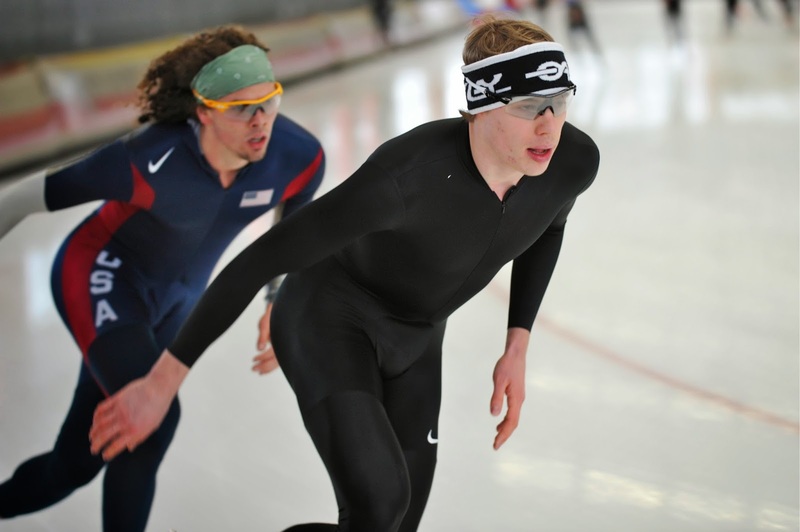 Last year he competed at a World Cup competition in Calgary, Canada, getting a personal best of 1:10.94 which is only a couple tenths off of qualifying for the Sochi Olympics. Darren, or "D-rice" as we like to call him loves Apple Computers and enjoys watching live streams of League of Legends competitions online.